Strategic has lost its Solomon Airlines contract. 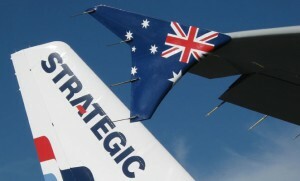 Strategic has dedicated a single two class 166-seat Airbus A320 to its Solomon Airlines ACMI (aircraft, crew, maintenance, insurance) lease contract, which it began operating in August 2009. It began operating a fourth weekly Brisbane-Honiara service on December 5. “In September 2010 Strategic Airlines decided it would not continue operating on behalf of Solomon Airlines between Brisbane and Honiara, due to the need to have the aircraft available for its growing commercial route network,” a spokesman for the Strategic Airlines confirmed. Solomon Airlines’ new A320-212 will be configured with 20 business and 120 economy class seats. As it does now with the Strategic aircraft, Solomon Airlines will provide its own cabin crew for the new operation.